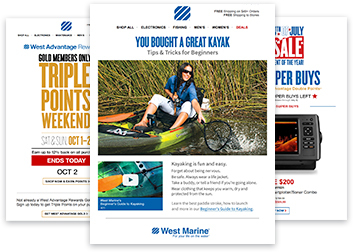 Staying in touch with West Marine is even easier than ever! Keep updated on hot products, great offers and store events. You can withdraw your consent and unsubscribe from receiving electronic communications, including product offerings and other marketing information, from West Marine at any time by following the instructions located in the electronic communication you receive.